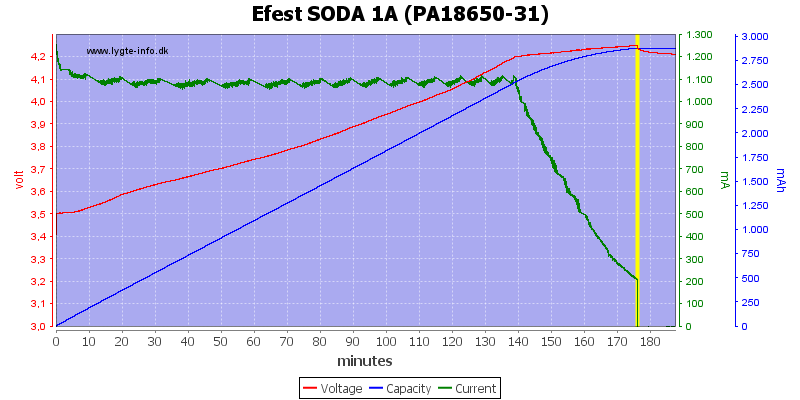 Efest has been building a line of chargers from single cell to four cell with fixed and variable current, this is a fairly simple two cell LiIon charger. The charger comes in a transparent plastic box. There is no doubt about the contents of the package, the charger and a mains cable. 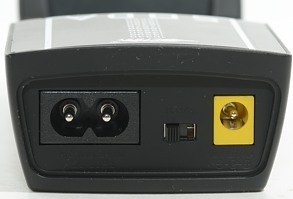 The charger can be powered from mains or from 12 volt, there is also a current selection switch. The placement of the switch is not ideal, I would have preferred having some indication on top of the charger, about the charge current. Either the switch or a led. There is a charge indication on top of the charger, it is at the bottom (minus) end and is the usual red/green leds. They are red when charging and green at other times. 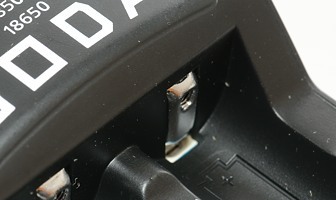 The sliders for the battery works smoothly and can accept batteries from 30mm to 71mm. 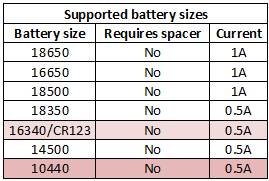 On top of the charger is a list of supported battery sizes, but it does include some batteries that are too small to charge on the charger and it is missing a list with current settings. 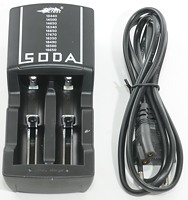 The charger can handle 70 mm long batteries including flat top cells. 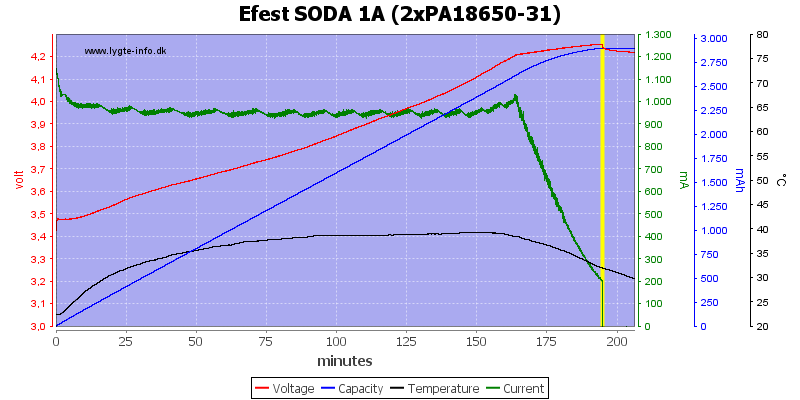 Because the 0.5A current is more like 0.7A, the charger is not that good for 16340 batteries (except IMR). 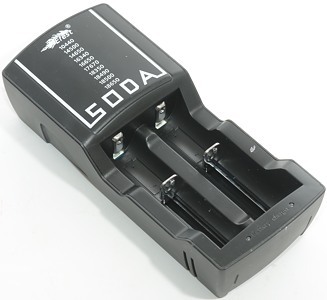 It is even worse with 10440 batteries, it is only a good idea to charge IMR 10440 on it. 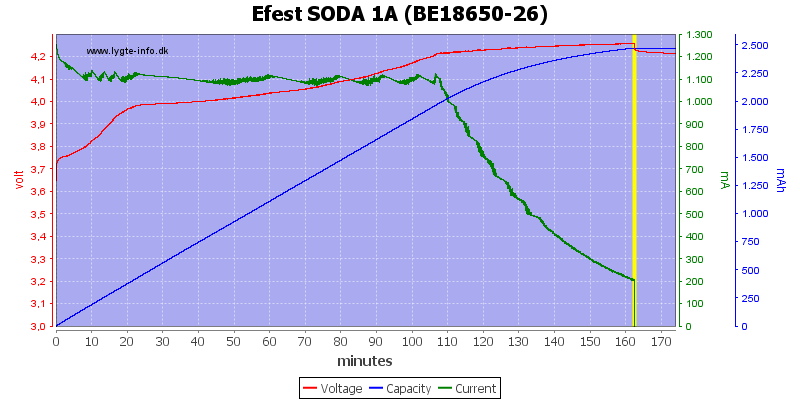 Note: Using to high charge current will not make the batteries explode, but will reduce lifetime of the batteries. When not connected to power it will discharges with up to 0.4mA. Below 0.4 volt the charger does not detect a battery and does not charge. Between 0.4 and 2.9 volt it chargers with up to 50mA current (Led is red). Above 2.9 volt it will charge with full current. 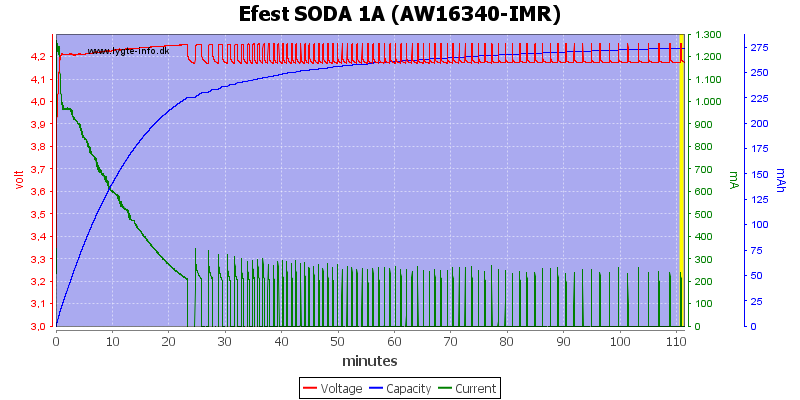 It will restart charging, if the voltage drops below 4.18 volt (See AW16340-IMR curve). It will not restart charging on reinsertion of the battery or power cycling. It is possible to switch current during charge. The channels on the charger are independent, i.e. there are small differences between them. The charger dose a fine CC/CV curve. The termination current is a bit high and the charge voltage is also a bit high. The second channel is the same, except the voltage is higher, it reaches 4.27 volt and maximum allowed is 4.25 volt. 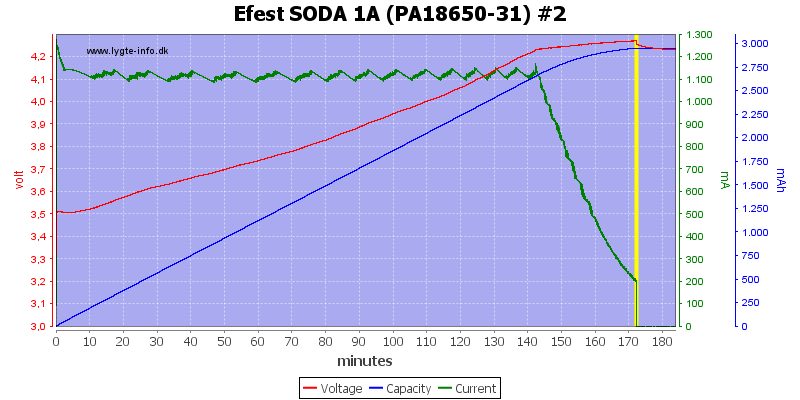 Other capacity cells takes more or less time, depending on capacity and the charger does again over charge. Using the 0.5A charge current does also over charge and it does not change the termination current. 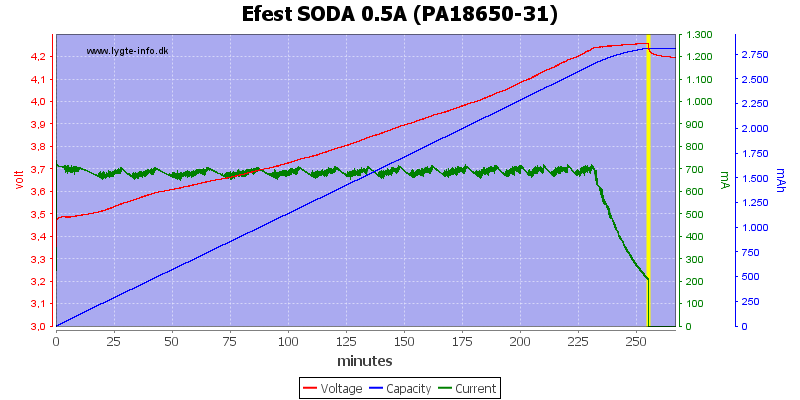 The 0.5A current is more like 0.7A, making it to high for 16340 batteries. Using my old IMR cell with rather high internal resistance, forces the charger to restart charging, because the cell has a significant voltage drop every time the charging current is turned off. 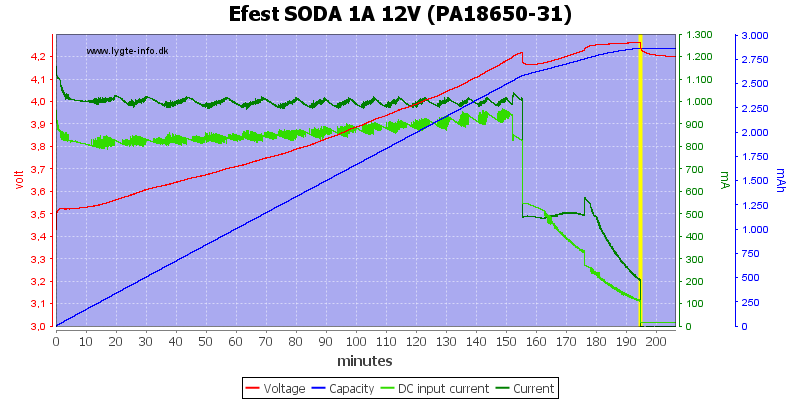 Charging with 12V DC supply looks a bit strange, instead of slowly reducing the current it drops to 0.5A and then goes into the CV phase a bit later. There is nothing wrong with this, except it is a bit slower. 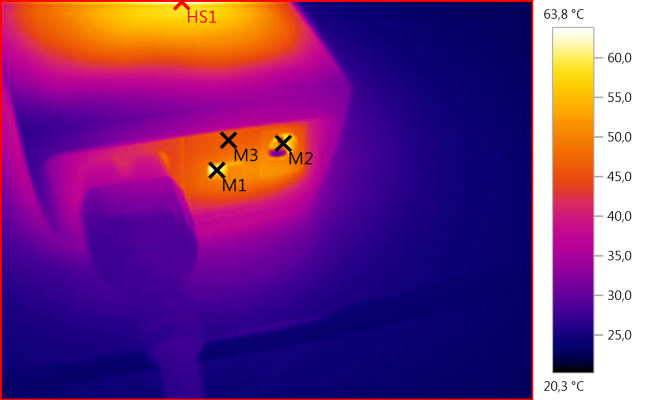 As with most chargers, there is generated a lot of heat when charging. 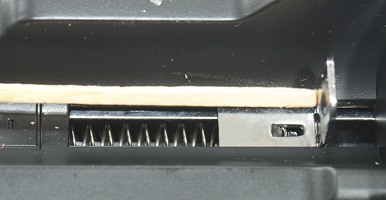 There is something inside the charger that gets very hot, but the high temperature does not transfer to the batteries. 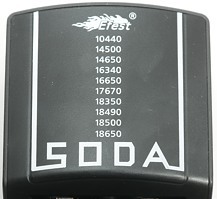 The charger starts up very fast and goes to full charge current. 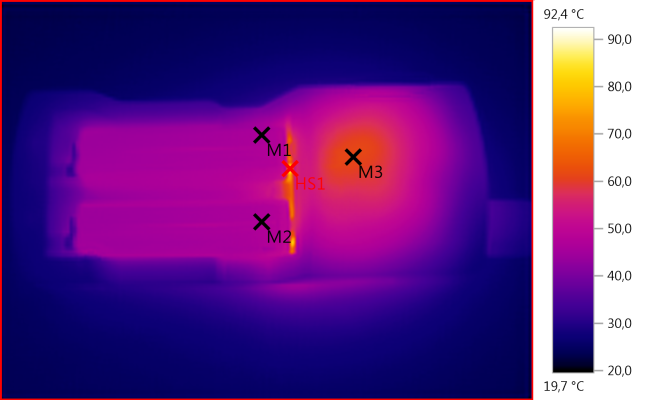 Testing with 2500 volt and 5000 volt between mains and low volt side, did not show any safety problems. The charger does charge with the correct algorithm and especially for IMR cells the two currents works fine, but the low current is too high for some ICR cells. Except for the high charge voltage, it is an acceptable charger. The charge was supplied by Efest for review.